In 1932, anthropologist Donald Thomson a superb and enthusiastic photographer, made the most comprehensive photographic record of any fully functioning, self-supporting Aboriginal society that we will ever have. In 1932-33, Yolngu people living in the Caledon Bay area of north-east Arnhem Land were involved in the killing of five Japanese fishermen and three Europeans. A punitive expedition was proposed to 'teach the Aborigines a lesson'. 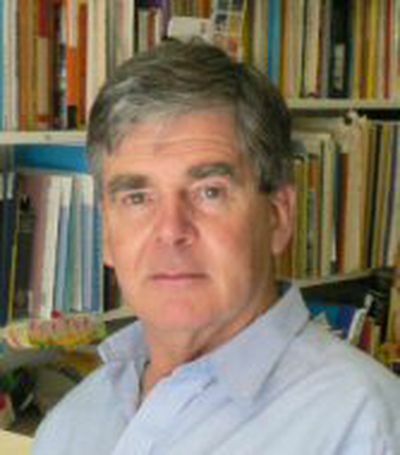 In response, Donald Thomson, a Melbourne-born anthropologist, offered to investigate the causes of the conflict. After seven months of investigation he persuaded the Federal Government to free the three men convicted of the killings and returned with them to their own country, subsequently spending fifteen months documenting the culture of the region. Whilst in Arnhem Land, Thomson, a superb and enthusiastic photographer, made the most comprehensive photographic record of any fully functioning, self-supporting Aboriginal society that we will ever have. The one hundred and thirty images included in this book cover domestic life, subsistence, house types, material culture, and religious life, providing a uniquely privileged glimpse of life beyond the frontier. Thomson recorded his experiences in newspaper and academic articles, private papers and extended reports to the government. Nicolas Peterson brings this material together as a compelling, highly personal narrative in Thomson's own words. It is a narrative that names all the Aboriginal people involved, presenting them as individuals in a way no other writings of the time do. Through it all Thomson's passionate commitment to Aboriginal rights as defender, critic and advocate, shines through. Nicolas Peterson is Professor of Anthropology at the Australian National University and a Fellow of the Academy of the Social Sciences in Australia. His research is focused on land and sea tenure, Aboriginal engagement with the Australian economy, history of anthropology and photography of anthropological subjects. "This splendid new edition of a 20-year-old classic compiled from the diaries and reports of anthropologist Donald Thomson (1901-70) incorporates more illustration as well as great detail concerning people and dates." 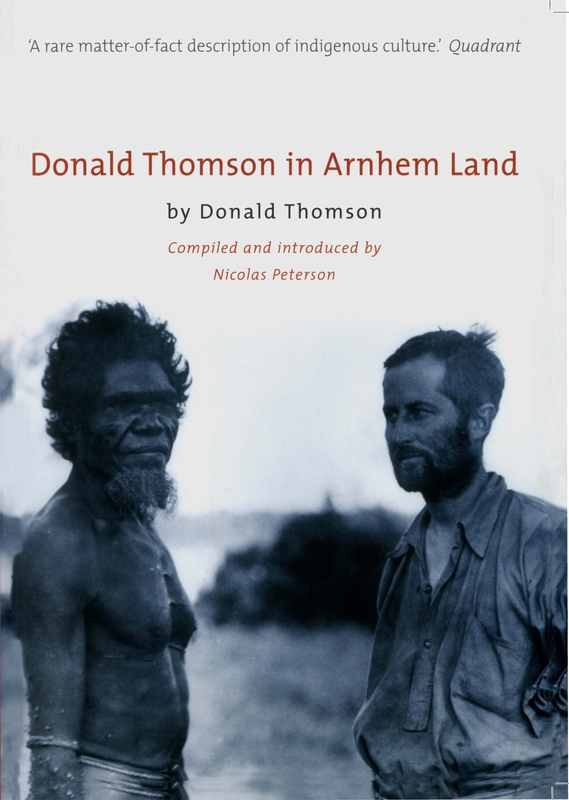 "Thomson deftly steps between the roles of reflective friend and sharply observant scientist, sometimes with melancholic effect...To this edition Peterson has added a jewel-80 extra images from Thomson's trove of 10,500 negatives from Arnhem Land and Cape York....Particularly powerful are the portraits..."
"Donald Thomson in Arnhem Land truly is a beautiful and fascinating book. One of those volumes that, for the quality of manufacture and the richness of the photographs alone, provide that strange sense of sacredness I remember feeling when holding a book I could not afford, straying as adolescent much of my time in bookshops. 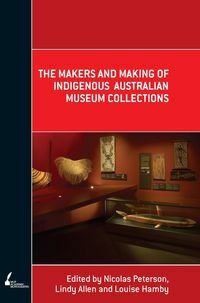 Besides the quality of press, this work also is an ethnographic treasure and offers an important contribution to Australian Aboriginal Studies." "A rare matter-of-fact description of indigenous culture." "Donald Thomson's stature as a great Australian and a champion of Aboriginal rights is confirmed by this engaging compilation...this book is a rewarding read, a pictorial treat and a tribute to a significant Australian."